» How Much Would You Pay for Dream Team Styles? How Much Would You Pay for Dream Team Styles? 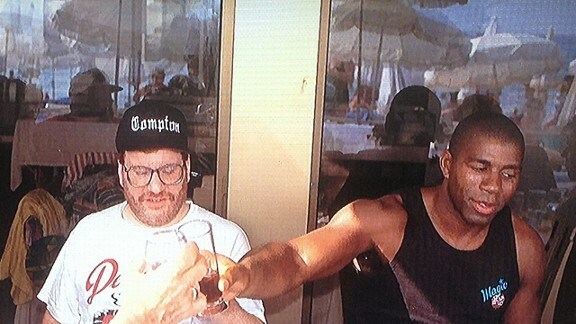 NBA TV’s Dream Team documentary, which aired Wednesday night, was beautiful. 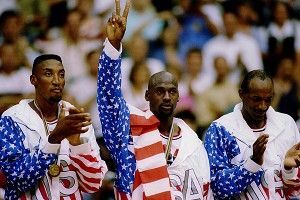 Between seeing actual practice footage, watching their dominant, uncontested march toward the gold medal, and witnessing Hall of Famers in all their glory, it was just a perfect 90 minutes of nostalgia goodness. 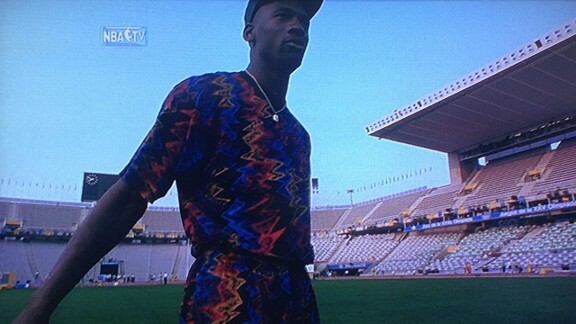 This nostalgia came in other forms, though, namely in the fashions that were alive and well in 1992. Yes, the Team USA pieces (from the jerseys, to the hats, to the T-shirts, and everything in between) are beautiful, but it was the off-the-court stylings that truly caught my attention. 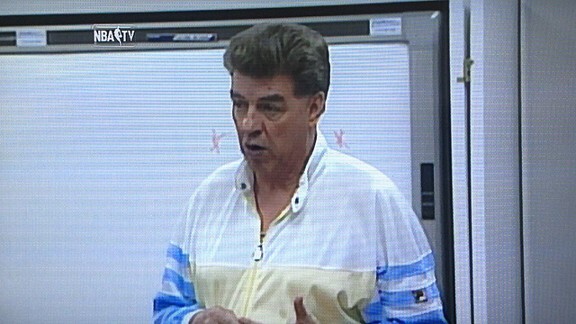 If you didn’t know coach Chuck Daly was the flyest guy on Earth before the documentary, now you do. To quote Sir Charles, “His hair was beautiful, his suits were immaculate. 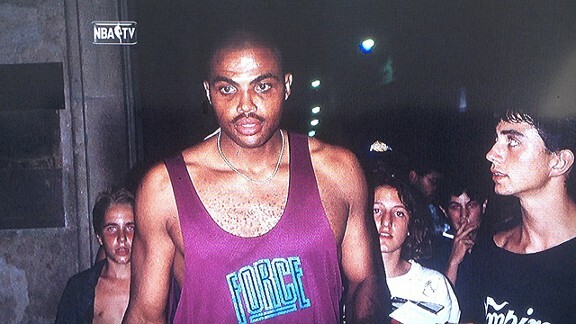 He wanted to win, but he wanted to look good.” Charles Barkley: not a liar. My fascination with this hat is less that it exists, and more that this Bruce Vilanch–ish character found a way to upstage Magic Johnson, who was wearing a tank top that said “Magic.” You, sir, are a legend. This is just a phenomenal work of art on Michael Jordan’s body, something that makes you cry at the sight of 2012 Michael Jordan. Yes, it looks kind of tacky, but it is perfect on him. Would I wear them as a unit in this day and age? Probably not. But I would wear the shirt with some jeans and the next day the shorts with a tank top and continue that alternating pattern until the intervention. Oh, Michael. This is a truly perfect piece of clothing. From the color, to the fact that it’s a jersey and not cotton, to the logo, to the 75 percent chance that it’s reversible, I almost can’t stand to look at it because I’m reminded that I don’t own it. I’d wear it three times a week between March and October and lock it in a safe at night, just to be sure. Look at how those kids are looking at Charles. They love him, because they’ve never seen someone wear anything that majestic before. Let’s cut to the chase. If you own this shirt, I will pay you everything for it. 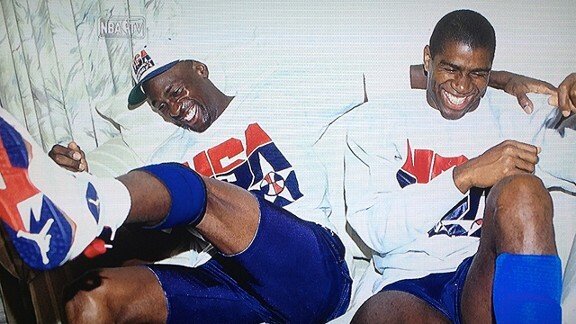 When I took this screenshot, I didn’t even realize Michael Jordan was in the picture. That’s how blindingly gorgeous it is. I can’t believe it exists. And notice Ahmad’s subtle roll-up of the sleeve. 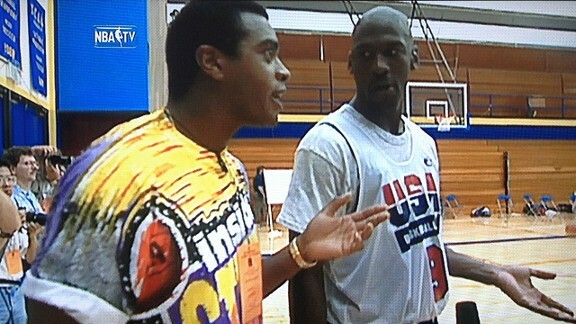 That’s EXACTLY what I would have done were I interviewing Michael Jordan in Barcelona. Ugh. Just someone give it to me. Please. LOOK. AT. THE. SYMMETRY. 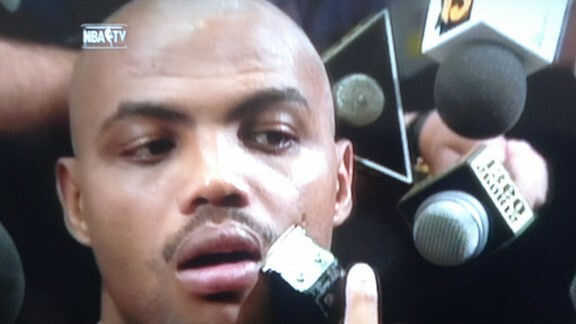 If Denzel’s face were a mustache, it would be Barkley’s ’92 ‘stache. Not Related: This is the happiest photo ever. 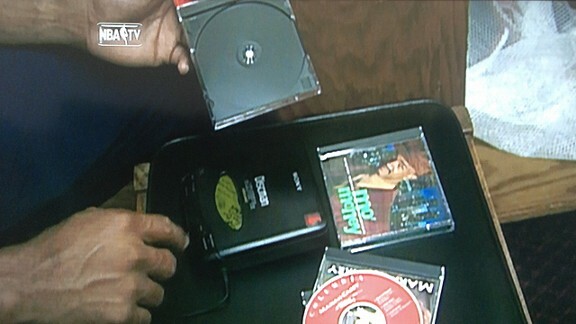 Yep, that’s the Mo’ Money soundtrack. What’s that next to it? That partially covered-up word looks a lot like “Marky Mark.” And on top of that? I see Mariah Carey, and without being sure, I’m going to guess Emotions. Well done, Charles. Well done.